Our Fantastic range of OEM Quality Brilliant Silver Edition Side Steps will Bring the latest Style to your VW T6 2015-on. Our Brilliant (Silver Edition) Side Steps Provide Modern Style As Well As Fantastic Function to Your VAN. Take Our Word For It- You Wont Be Disappointed. Constructed with wide strong Aluminium Boards with Safe Anti-Slip Tread along the length. Finished off with a Protective Aluminium edge. And a small touch of Chrome look Stainless Steel. These are a NON DRILL product. Our Side Steps are a tough Aluminium Runningboard with Anodised OEM Finish. This is a great way to help the whole family get in and out of your 4x4! 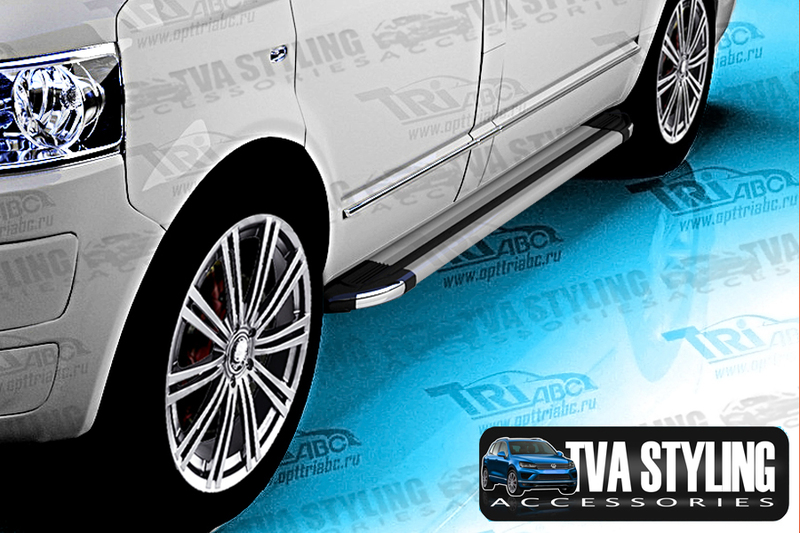 Our Brilliant Silver Edition Side Steps really upgrade your Volkswagen T6. "You can use these all day long - at around half the price from the Car Dealer!!" Excellent value for your Volkswagen T6 2015-on Van giving an excellent finishing touch. Click the button below to add the Volkswagen T6 Side Steps Brilliant Silver Edition Running Boards LWB to your wish list.